Looking for creative display ideas for your event sponsors? 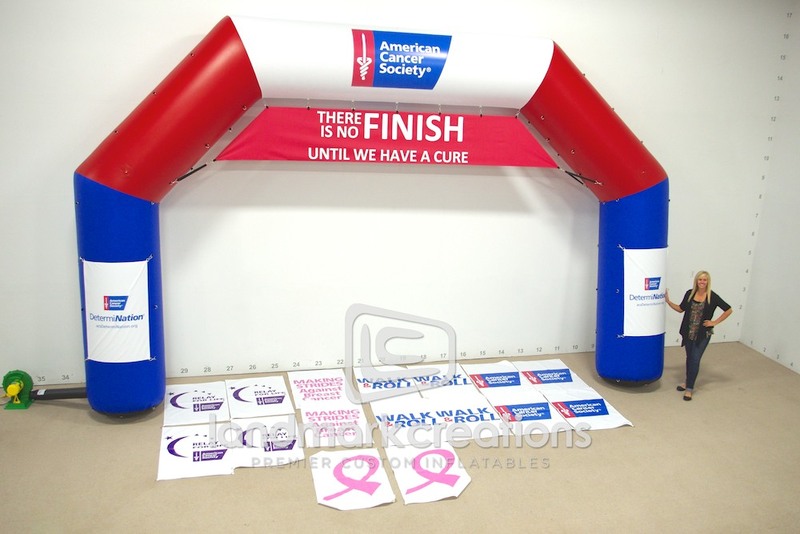 The American Cancer Society (Illinois Chapters) uses inflatable custom arches with interchangeable banners at fundraising events including the Chicago Marathon and Relay for Life. Pack DIMs: 21" x 20" x 21"